COMMENTARY — Following a theme made famous by Monty Python — and now for something completely different. Utah’s men’s sports get plenty of love from me on most weeks, and will continue to do so. However, I want to take a moment to point out an absolutely amazing accomplishment. 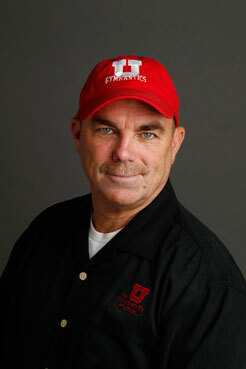 Utah gymnastics coach Greg Marsden picked up win number 1,000 (and no, that is not a typo — one thousand!) with a victory over Arizona State on the road last Saturday night. Coach Marsden has led the Red Rocks for 39 years as the program’s only coach. Even more amazingly, it only took him 1,206 meets to pick up 1,000 wins, giving him a winning percentage of .829. Such dominance in collegiate athletics is virtually unprecedented, and it is highly unlikely that it will ever be duplicated again. Coach Marsden is not just the winningest coach in collegiate gymnastics history, he is one of the winningest coaches in any sport of all time. Let me try and put his magnificent feats in perspective. John Wooden, the Wizard of Westwood himself, won 664 games over the course of his career, for a winning percentage of .804. However, Wooden didn’t win his first national title until his 16th season at UCLA, and that was after two seasons at Indiana State. Wooden won a total of 10 national titles in 12 years. Although he coached for 29 years, he only dominated his sport for a little over a decade. Duke coach Mike Krzyzewski currently leads all men’s college basketball coaches with 974 wins. However, it took him 1,276 games to garner those wins, for a .763 winning percentage. Coach K has also won four national titles. Bobby Bowden is the winningest collegiate football coach with 411 wins, which includes 12 wins vacated by the NCAA, and 22 wins at South Georgia College, which are not counted by the NCAA. Pat Summit, the women’s basketball coach at Tennessee from 1974 to 2012, is the only collegiate coach to even hold a candle to Greg Marsden. Over 38 years, Summit collected 1,098 wins, for a career winning percentage of .841, punctuated by eight national titles. It is not too far-fetched to think that Marsden may catch even Summit someday. Don Nelson is the NBA’s winningest coach with 1,335 career victories. However, you have to remember that an NBA team plays more than 80 games each season, and Nelson’s career winning percentage was only .557. In contrast, this year the Red Rocks only have 10 regular-season meets, and Marsden has definitely made the most of his chances. Connie Mack managed the Pittsburgh Pirates and Philadelphia Athletics for 56 years and leads MLB with an astounding 3,731 wins, while winning nine pennants in the process. However, baseball teams play even more games than basketball teams and Mack’s career winning percentage was only .486, meaning he actually lost more games than he won. Don Shula is the winningest coach in NFL history, with 490 victories, winning two Super Bowls and the NFL Championship in 1968. The truly amazing aspect of all of this is that Coach Marsden is still going strong and is only going to continue to push his win total even higher. Rather than a eulogy, this is merely a mile-marker on a journey that has yet to be completed. The undefeated Red Rocks are currently ranked No. 4 in the nation. Their next meet will be at home this Friday vs. Arizona. These ladies are absolutely amazing athletes and a pure joy to watch. While the football, basketball and other teams at the U have had their ups and downs over the years, the Red Rocks are the undisputed Queens of The Hill, with a program that has consistently dominated its sport for decades and hopefully will continue to do so for decades yet to come. On a side note, I’d like to share with you what has become one of my favorite non-profit organizations (and yes there is a Ute connection): Giving A Bleep, an organization that simply gives a bleep (insert your own expletive) about its community. One of the many things this organization does is produce an annual satirical stage show poking fun at just about anything and everything. The best part is that attendees get to select the local non-profit organization of their choice to receive the proceeds from their ticket sale. 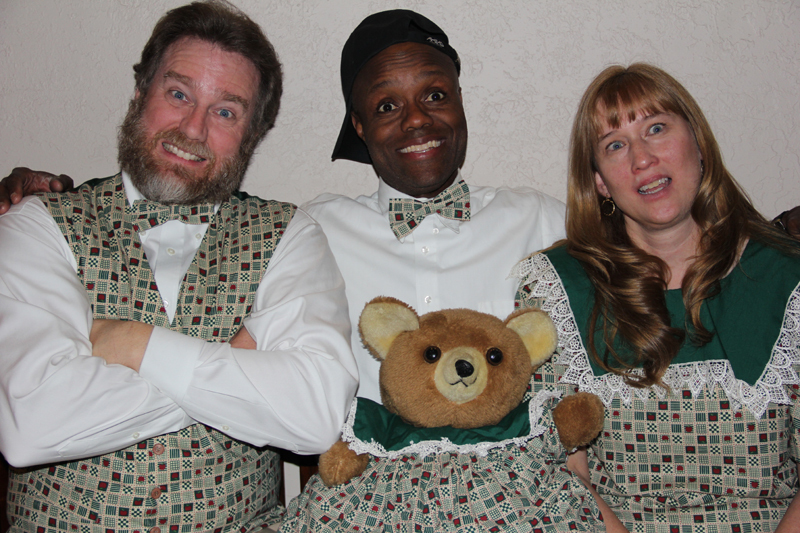 If any of you are within striking distance of Park City this weekend, treat yourself to a truly funny show on Friday or Saturday evening at the Prospector Square Theater located at 2175 Sidewinder Drive in Park City. Tickets can be purchased online at www.givingableep.com or at the door. Coach Marsden, I know you have business to attend to on Friday night hosting Arizona, but just give me the word and I will personally reserve two seats for you to Saturday’s show. Come on folks, show that you give a bleep about your community! Dwayne Vance is a sports columnist. The opinions stated in this article are his and not representative of St. George News. Here are some absolutely mind-blowing stats about Greg Marsden’s career thus far. Coach Marsden has won a total of ten national titles, winning his first one in only his fifth season. That first national title sparked a run of six straight titles. The Red Rocks have qualified for 38 straight national championships, and have never finished lower than 9th nationally, finishing in the top five 28 times, the top three 22 times, and in the top two 18 times. Coach Marsden has coached more All-Americans than any other gymnastics coach in history, 336, and his gymnasts have captured 24 individual national titles.